Photographs No. 36 and No. 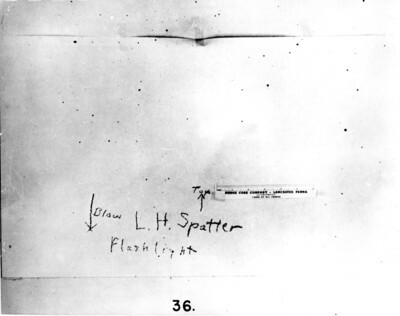 37 show that the spatter from use of a flashlight is comparable in characteristics with spatter spots from other objects.